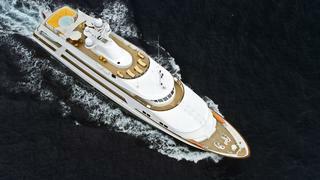 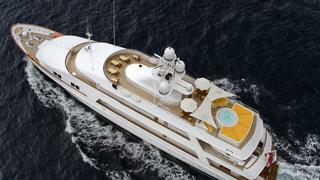 Motor Yacht VIXIT is one of the most-sought-after, successful charter yachts in the world. 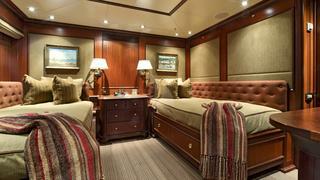 Her comfortable accommodations for 12 guests, excellent outdoor spaces and reliability combine to create a floating haven for charter guests. 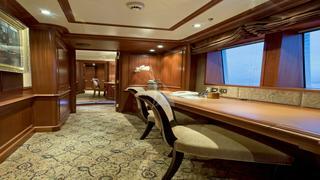 Built in 1989, VIXIT is a classic beauty that has been maintained to the highest standards. 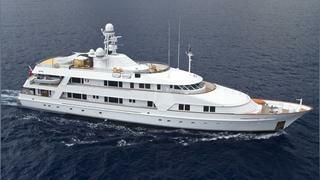 In 2003, she underwent a complete rebuild; subsequent major refits also were carried out from 2008 to 2009 and in 2013, all of which rendered her in the pristine condition. 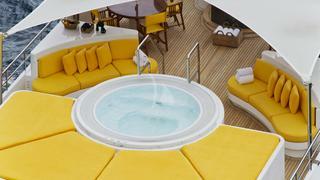 Superyacht VIXIT features a great accommodation layout that is ideally suited for families and couples. 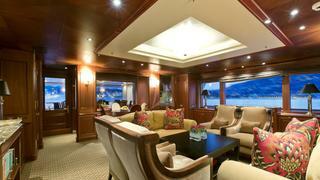 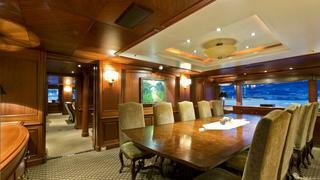 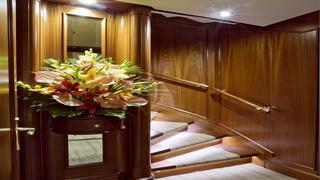 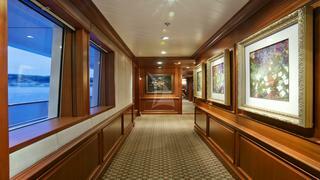 Forward on the main deck are the master and primary VIP staterooms. 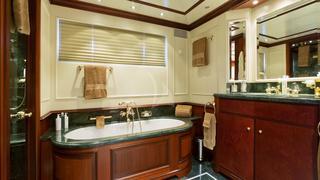 Her full-beam master stateroom features a king-size bed and private en-suite with whirlpool tub and his-and-hers marble sinks. 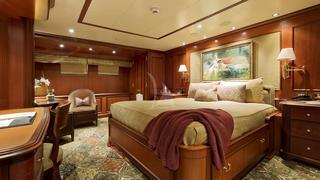 Her main deck VIP also boasts a king-size bed as well as an en-suite bath with tub. 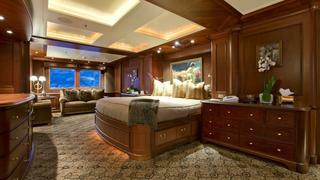 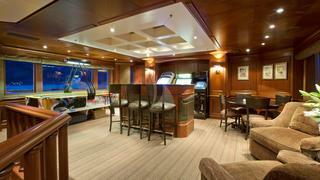 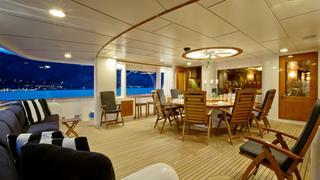 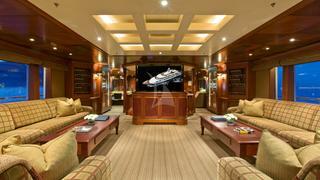 Below deck are four additional guest staterooms for up to 10 more charter guests. 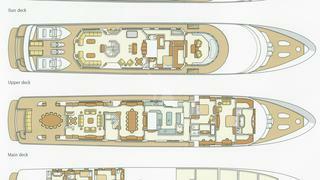 These staterooms include a full-beam VIP stateroom with a king-size bed, a smaller VIP stateroom with a queen-size bed and two twin staterooms, each with an extra Pullman bunk. 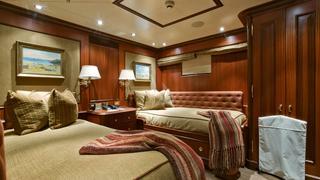 All staterooms aboard motor yacht VIXIT are very spacious thanks to her 30-foot beam; each is finished to the highest standards and decorated beautifully. 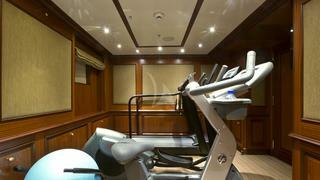 Staying fit while aboard VIXIT is easy as her fully equipped gym is complete with a treadmill, elliptical machine, stationary bike, free weights and a full bath, including steam shower. 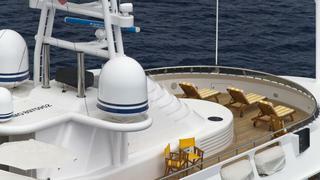 VIXIT has a variety of alfresco spaces well suited for enjoying the tropical breezes and stunning views. 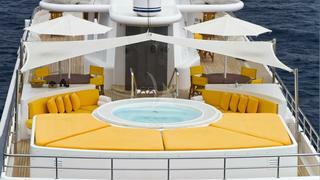 From the main deck’s aft dining lounge to the sundeck’s large Jacuzzi flanked by sunpads, two round dining tables and forward seating area, the open-air experience on board charter yacht VIXIT is one of a kind. 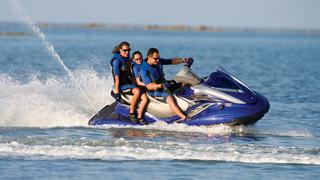 With a huge assortment of tenders, watersport toys, fishing gear and dive equipment, your days aboard VIXIT are sure to be filled with fun in the sun. 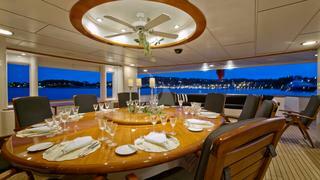 Charter yacht VIXIT’s crew of 14 will ensure your needs are met and your time aboard is one you will never forget. 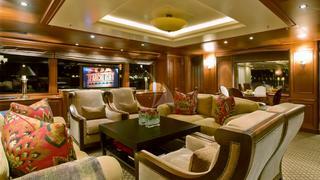 Not available or offered for sale or charter to US citizens or residents while in US waters.